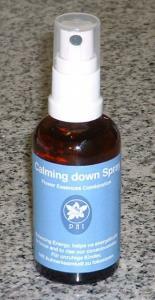 The calming spray with restlessness, impulsivity, attention problems. It can be used in children with a diagnosis of ADHD. uncontrolled wandering and difficulty staying on one thing off. emerging pulses can be better controlled and reflected. and the memory will be strengthened. to solve stressful thoughts to devote himself to what should be done.